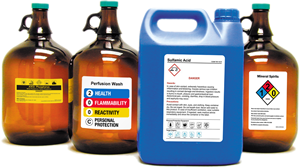 We make it easy to customize your HazCom or Chemical Labels. Start with a template and just add your ratings and warning text. • Preprinted labels save you time. But, even more important, the label is printed professionally and, unlike write-in labels, your information is legible. • Choose from a range of durable chemical label materials, including laminated vinyl for enhanced durability and chemical resistance. • You will be surprised how affordable these custom chemical label are! And, you’ll be surprised how few custom labels you’ll need to order (for some the minimum is just 10 labels). • For even greater flexibility, many of our templates feature a Free Downloadable PDF feature. Design and then print yourself – all for Free! 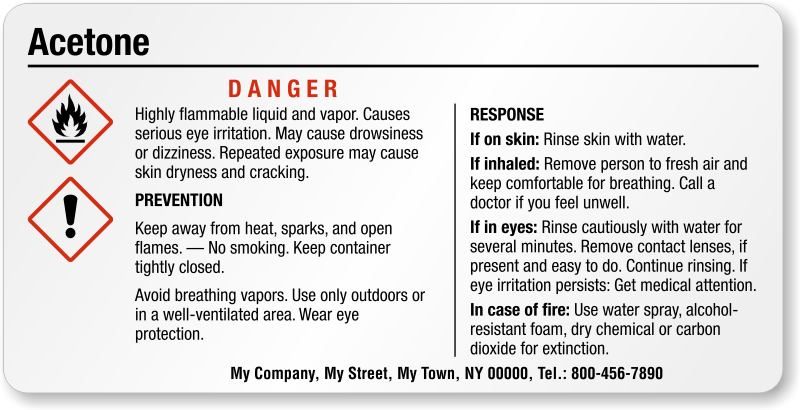 It’s easy and affordable to order your own preprinted NFPA labels. Just fill in the ratings and, for some designs, add your custom handing and warning text. Some of our best selling designs are shown below. For a larger selection click here. Just add your ratings and PPE codes. To customize a larger sign, click here. Build your own GHS label using these easy templates. Click on the GHS pictos that you need and add your instructional text. Wizard makes it simple. These classic label designs feature easy to understand pictos, precautionary statements, an emergency overview, first aid instructions, CAS number and company name. Some of our most popular templates are shown below. 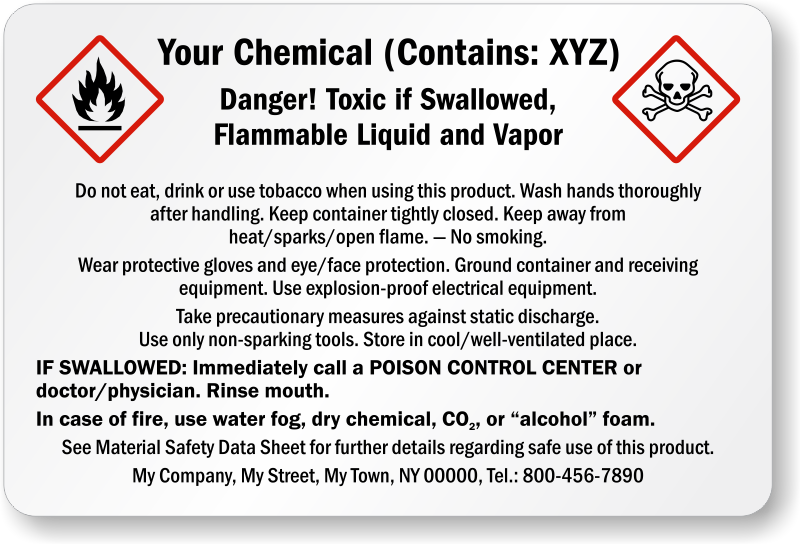 For more ANSI MSDS label templates, click here. My order arrived when I was promised and the labels were perfect. These labels had sharp resolution and stuck well to the squeeze bottles my company uses on the production floor. Those bottles are going to be handled by many dirty hands but I have confidence that these labels will be able to withstand this. very easy to order. excellent customer service support.